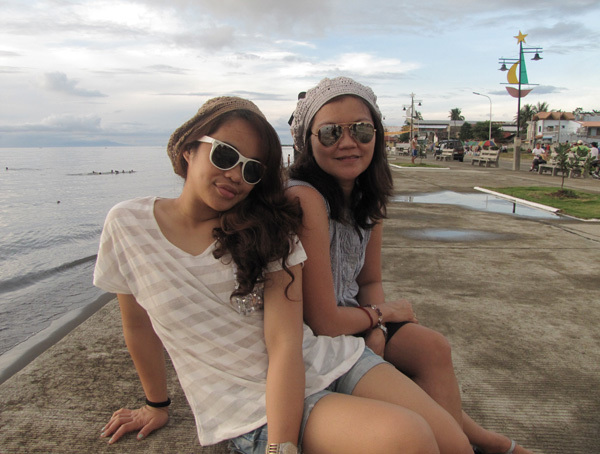 before heading back home, we spent the night of Easter at Dipolog City as our flight was scheduled on Monday afternoon. 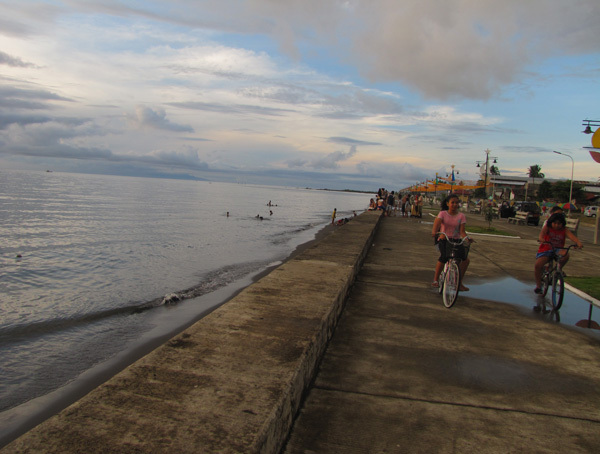 we visited the new Dipolog boulevard which was almost 3 kilometers in length and just whiled the afternoon taking photos, watching the sunset and relishing the last hours of breathing fresh air before heading back to our slightly polluted city. we also had dinner there in the form of pork and chicken barbecue and the uber-yummy fresh water crabs in Dipolog. too bad i wasn’t able to take photos of the food. i was just too hungry to remember. it’s only been a mere 5 days since i’ve been back and i’m now longing for more afternoons like these. i don’t know, i might be unmotivated to work or am just lazy. i think i’m just lazy..haha! 1) the Barlas (my cousin and me) in our matching crocheted beanies. these were not matched intentionally for us but i nabbed the brown one from her when she showed me that she had two beanies in her bag. 2) just a moment of vanity. 3) the extra long boulevard. if we had something like this in Cebu, i’d totally bring over our dogs and just hang out here all the time. it’s the perfect spot to watch the sunset. 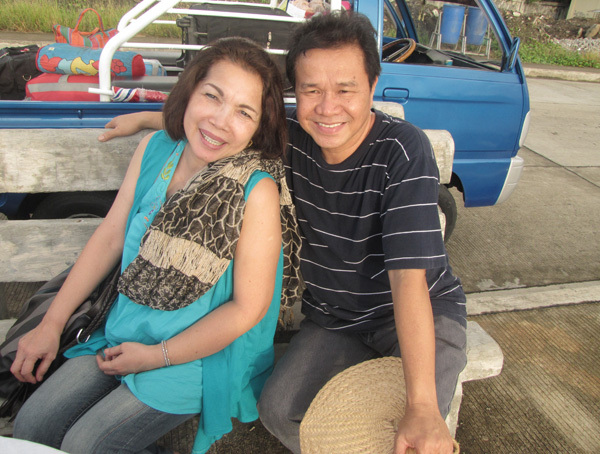 4) my mom and my dad. we were teasing them for still being so sweet after more than 30 years of marriage. i love them to death. 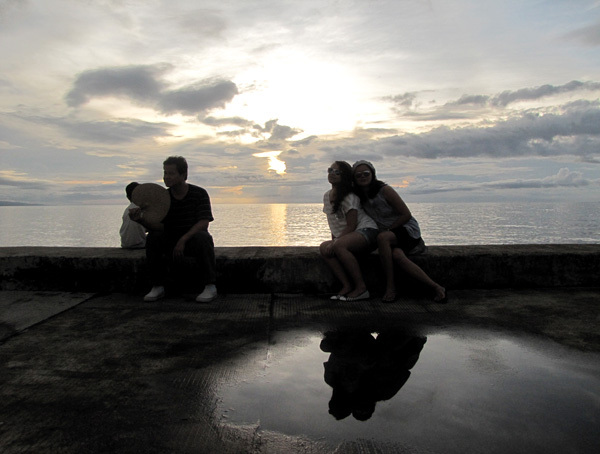 5) this was supposed to be a candid shot until my cousin and i saw our other cousin trying to take the shot. This is a dream! The place you're at is beyond gorgeous! haha. yep i love jumpshots! I'm giving away a leopard print kimono cardi on my blog by the way if you're interested! I Googled Dipolog because I am unfamiliar. The Orchid City? Sounds and looks pretty! 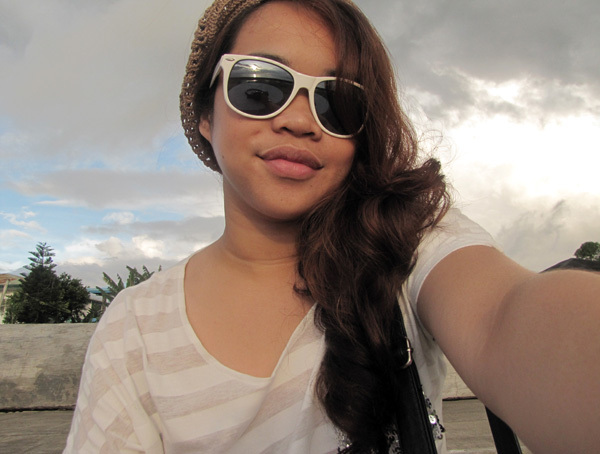 I would like to explore more of the Philippines. I am not acclimated to the weather there so a beanie sounds hot for me. You wear it well! Your parents are too adorable! seems like you had great funnnn giselle !